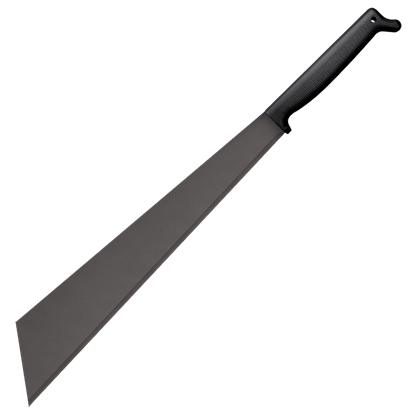 No matter if your interests reside in pursuing forestry or working to put an end to the zombie apocalypse, keeping the unforgiving wilderness at bay has never been more efficient or effective than with the 20 Inch Cleaver Machete! 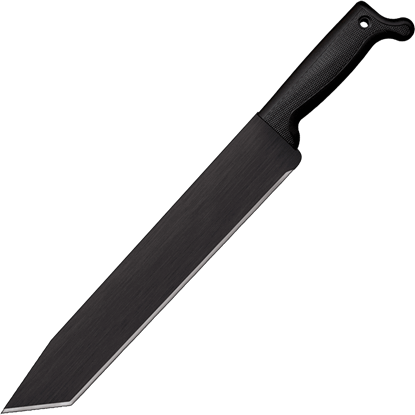 This All Terrain Chopper Machete is a cleaver that has to be seen to be believed. Cutting power is what this blade packs, and it will easily scythe through any opposition you might face in the field, making it a great addition to any kit. 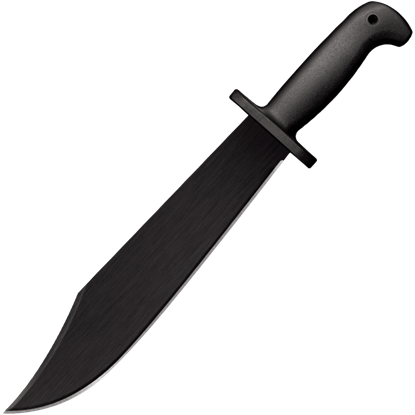 While the adapted tanto machete design is primarily recognized for its use in combat and other tasks that require a strong piercing point, the Americanized Tanto Machete also serves well as a multi-purpose bush craft blade. 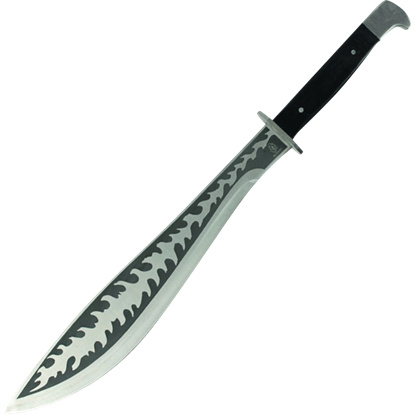 Both an agricultural tool and weapon, the Barong Machete is based on a knife native to the Philippines, where it is used by farmers in the fields and wielded by martial artists. And now, it can serve in both capacities for you, too. 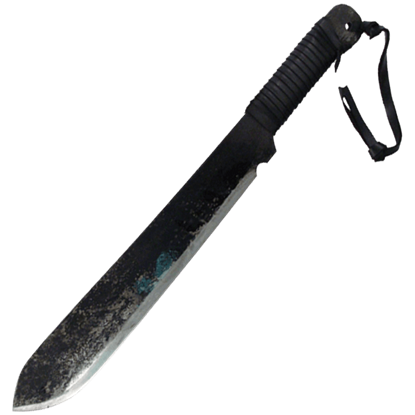 The Battle Worn Bush Machete is designed to master the daily cutting and chopping tasks of wilderness survival. 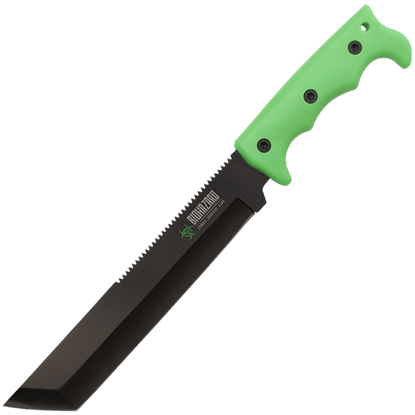 This all-purpose blade allows the modern explorer to leave behind the daily grind and enjoy Mother Nature at her fullest. 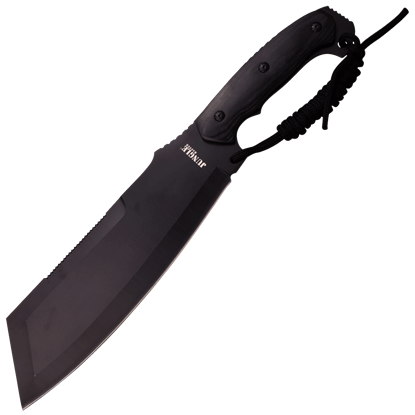 Featuring an unusual and eye-catching tactical look for a machete, the Black Bear Bowie Machete is a tool that is strong enough to chop through small vines and saplings, clear brush, and perform suitably in survival situations. 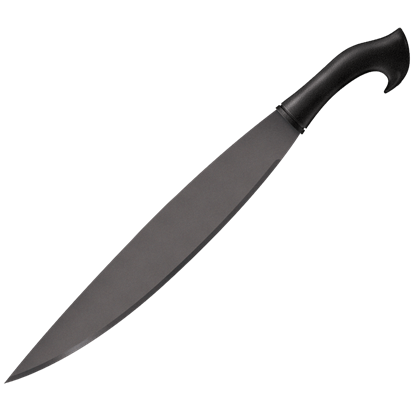 With the look of a bright flame decorating its curvy blade, the Black Flame Machete makes a striking addition to any arsenal. 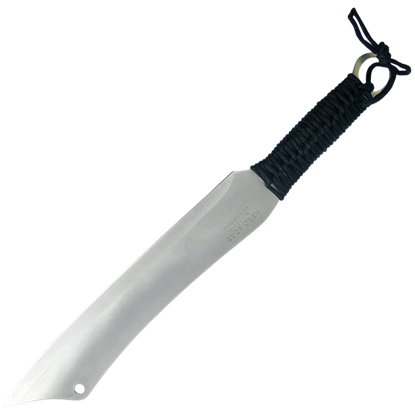 Made of stainless steel, this decorative weapon comes with a nylon sheath for easy carrying and storage. 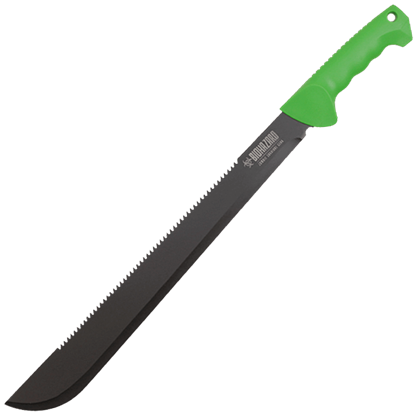 Especially when you need an outdoor blade for yard work or other tasks, make sure to find one suited for work. 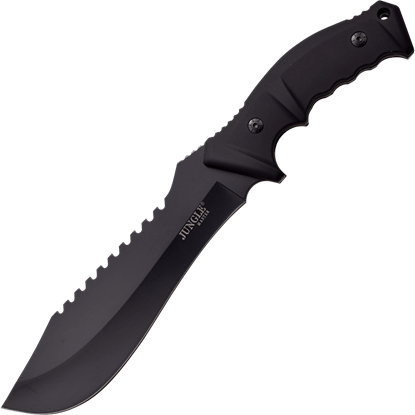 The Black Jungle Cleaver Machete makes a great tool for clearing woody brush and stalks with its hefty, blunt-tipped blade. 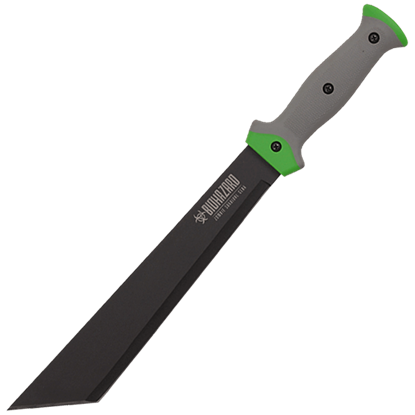 With its distinctive shape and sleek design, the Black Jungle Master Machete is the tool you need for chopping through the tangle of vegetation that is the jungle. It is the perfect weapon with which to master your environment.